Millennium 7 Publishing Co.: YOUR Marketing In The Age Of Social Media? 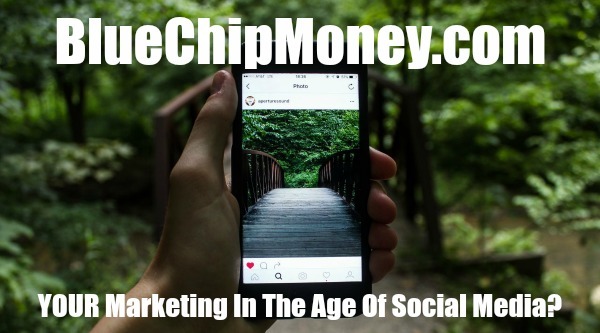 YOUR Marketing In The Age Of Social Media? Thompson, the father of gonzo journalism, lived and worked in an age where social media marketing had not even taken birth. What he says about the importance of striving for excellence is advice relevant not just to his peers, but juxtapositions itself for today’s social media marketing campaigns too. Even as marketers are pampered with multiple social media channels there is still a need to build brilliant campaigns that go beyond self-promotion and noisy broadcasting. Some of the best social media campaigns are fruits of innovation and creativity, which also reigned in observation of the social media landscape, trends, and psyche of the digital consumer. Since the medium is dynamic in nature, it is easy to get carried away when designing social media marketing campaigns and forget the basic fundamentals. So whether it is keeping the tongue-in-cheek tone under control or fact-checking before final publication, here’s a list of few dos and don’ts to keep in mind while articulating your brand’s message. Humour is one of the greatest tools to engage with your audience and sell your product. However, it is not everyone’s cup of tea and is a tricky line to tread. What is humor for one can come across as offensive to most. This has been the case for many a failed marketing attempts which were not just borderline inappropriate but flat-out offensive. So when aiming for ‘pun intended’, ensure that there is pun wherever it is intended. Contextual humor can help you scale the social media marketing circuit, but the lack of it will have you staring at a steep plunge. The infamous Miracle Matress saga is a good reminder for social media marketers. If you’re not careful about what you poke fun at, you may end up biting off more than you can handle. As Amazon CEO Jeff Bezos once said, “If you make customers unhappy in the physical world, they might each tell six friends. If you make customers unhappy on the internet, they can each tell 6,000 friends." Both Whoopi and Oprah didn’t take the matter lightly, and neither did netizens. The tweet was swiftly deleted, and the company apologized for the slip. However, it was too little, too late, as the brand became a laughing stock on Twitter, and not only lost face but respect of the consumers. What does this teach us? Read and re-read every bit of content before it goes out on social media. Due diligence doesn’t cost you much, but the lack of it can spell disaster for your brand. It is much better to invest a little time and effort to deliver a flawless copy than publish something fallacious and then scramble to make amends. Remember, social media can be a very unforgiving place for brands that come across as careless in fact-checking. Do not forget that the digital realm is a neutral platform, where every brand is constantly under scrutiny. No matter how big or small your online presence be, nothing escapes the keen eyes of netizens. Hence, a brand has to be on its guard round-the-clock, more vigilant than ever before. An un-thought-out tweet, un-researched or unverified claim, a defective product on the store shelf, a slip by the brand stewards – whether CEO or delivery boy, can potentially generate enough bad publicity to make a social media marketer’s worst nightmares come true. The video that went viral, showing United Airlines staff assaulting a customer cost the brand close to a billion dollars off its market value during the period of the viral video fiasco. So never underestimate the destructive power of an ill-planned or poorly executed social media post. According to a digital analyst, speaker, and author Brian Solis, social media is about sociology and psychology more than technology. As humans, we all love a good story; we love to be amused, challenged, and tickled.we seek stories, as we get hooked on to engaging content. So, if a brand has insights into consumer psychology, it will be able to engage them with content that draws their curiosity. Technology, then, becomes simply the platform on which the content stands. Thus, the next time you’re planning your social media marketing campaign, remember that it is not just about making a “viral” or amazing-looking campaign. To maximize effectiveness for your brand, spend some time crafting a campaign that not only appeals to consumer tastes but does so with sensitivity and dignity. Guest Authored By Disha Kathuria. Disha does not derive her identity from certificates or medals. She is a freelance writer and an independent researcher. She spends her energy and time in exploring and exposing the current human condition. Follow Disha on Twitter. “The next time you’re planning your social media marketing campaign, remember that it is not just about making a “viral” or amazing-looking campaign. To maximize effectiveness for your brand, spend some time crafting a campaign that not only appeals to consumer tastes but does so with sensitivity and dignity.."